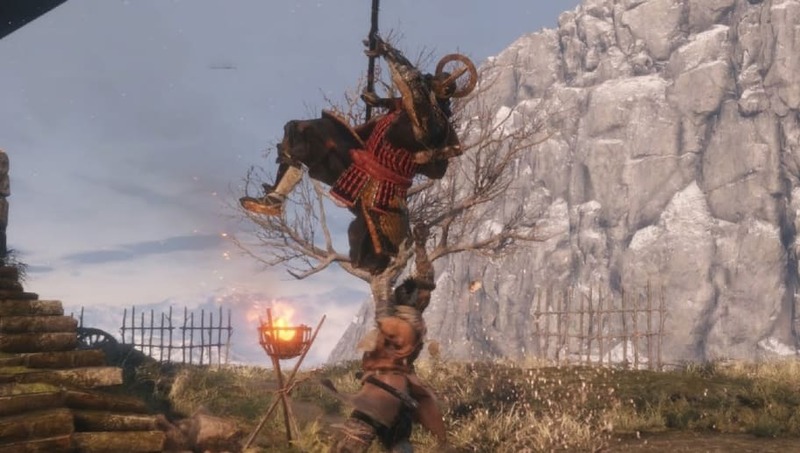 Sekiro Seven Ashina Spears is a mini-boss that appears in Sekiro Shadows Die Twice. Here is everything you need to know about the boss. Seven Ashina Spears -Shikibu Toshikatsu Yamauchi is a mini-boss that players will be able to fight in Sekiro Shadows Die Twice. When players enter the Ashina Castle, players will need to head toward the path in the left and then drop into the Ashina Reservoir, where a path can be seen and a few enemies are also at. At the end of the path will be Seven Ashina Spears, the mini-boss of that area. The best way to beat the mini-boss is not to rely on dodging the attacks. Instead, players will have to perfect their deflection and Miriki counters to break his guard and defeat him. Dodging is almost impossible and will cause you to rage quit. Instead, stay aggressive and land those deflects.